Music on Vinyl have announced they are releasing a brand new Taxi Driver vinyl soundtrack. 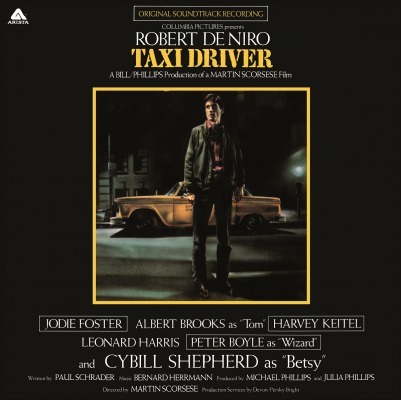 The new release is a specially re-mastered version of Bernard Hermann’s dark and atmospheric score to the 1976 Martin Scorsese psychological thriller. Bernard Hermann was used often by Alfred Hitchcock to compose the scores for his movies and is considered Hitchcock’s favorite composer. 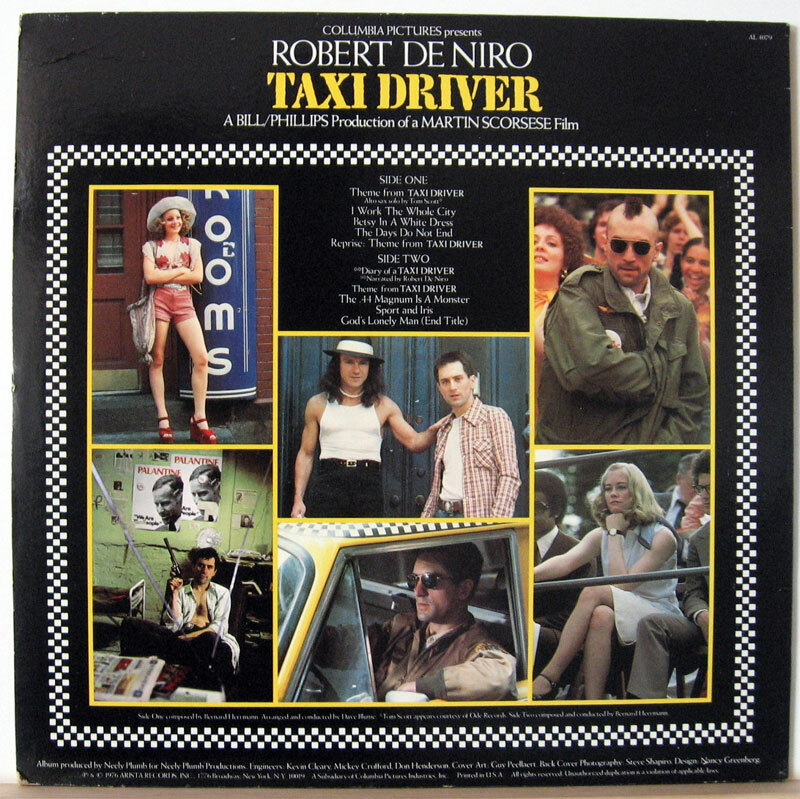 He is perhaps most famous for his scores to Psycho and Vertigo, although in many people’s eyes Taxi Driver is right up there. 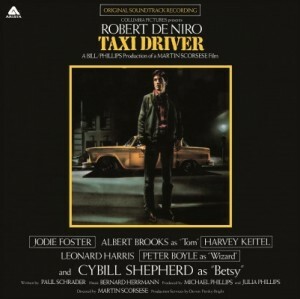 It was after all ranked #63 in EW’s 100 Best Movie Soundtracks. 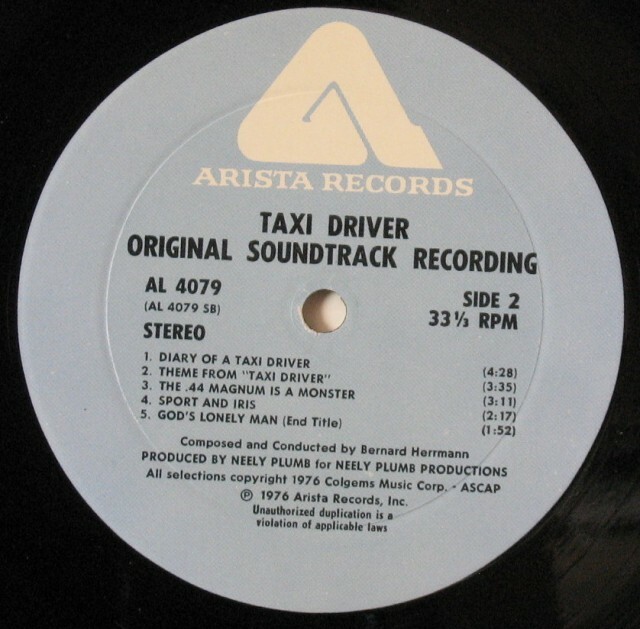 Sadly, Taxi Driver was Hermann’s last ever score. He died just a few hours after completing it. This new release is a 180 gram audiophile vinyl release on a single LP containing 10 tracks.. It will be released officially on December 10, 2012. I have not seen any buy links for this new release at the time of this post. 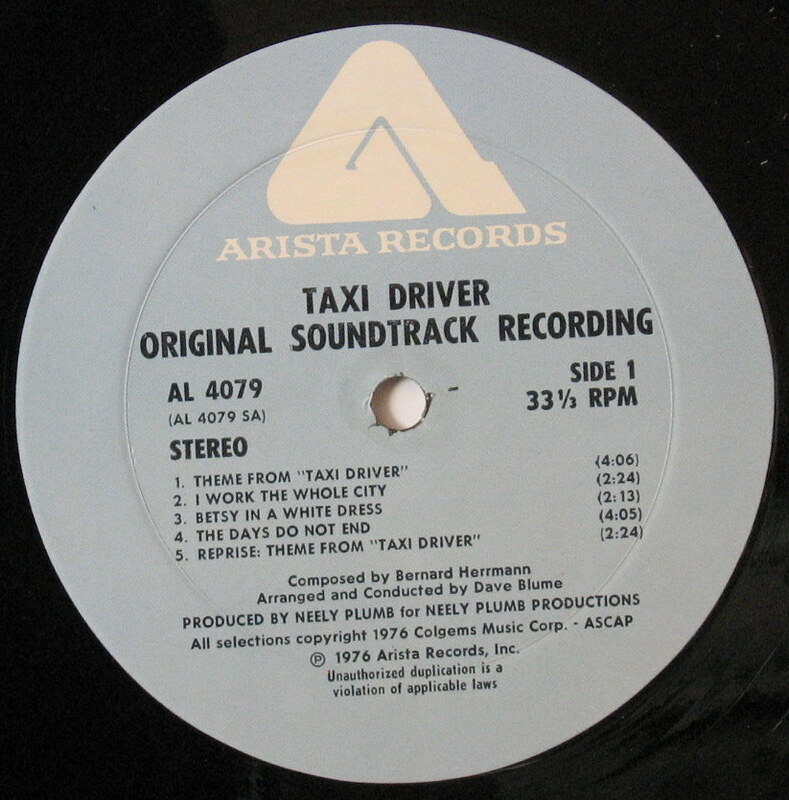 This new Taxi Driver soundtrack release is a re-mastered version of the now quite rare Arista label Taxi Driver vinyl LP (AL 4079) that was released in 1976 (this post links to one of these for sale on Ebay). 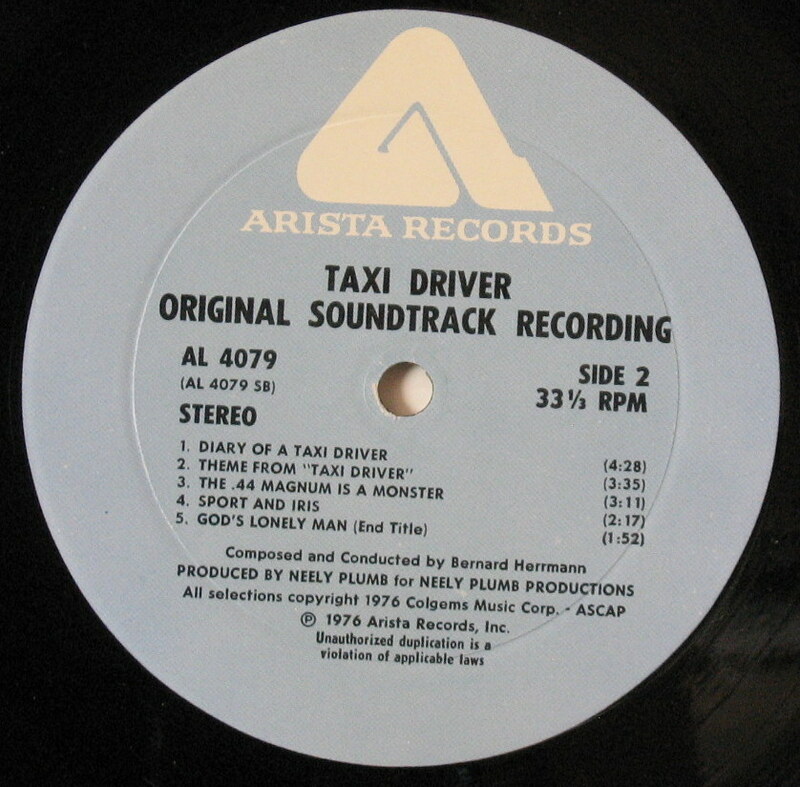 Both the new release and the 1976 Arista release contain ten identical tracks. Although it is great to have access to the original and to a newly remastered Taxi Driver soundtrack on vinyl (that draws upon music straight from the vault), it’s a little disappointing that the newly remastered version wasn’t a Double LP containing more tracks like the 1998 Special Edition Audio CD release. That CD contained 18 tracks with over an hour of play time (61 min) versus the just over 21 minutes (21:15) of the original and latest vinyl release.